This is a charming (and sometimes tense) story about an eccentric old man with regrets. It’s striking, because many would call him a hero. He eschews that appellation, saying that there were real heroes in WWII, and he was only doing what he was told to do. 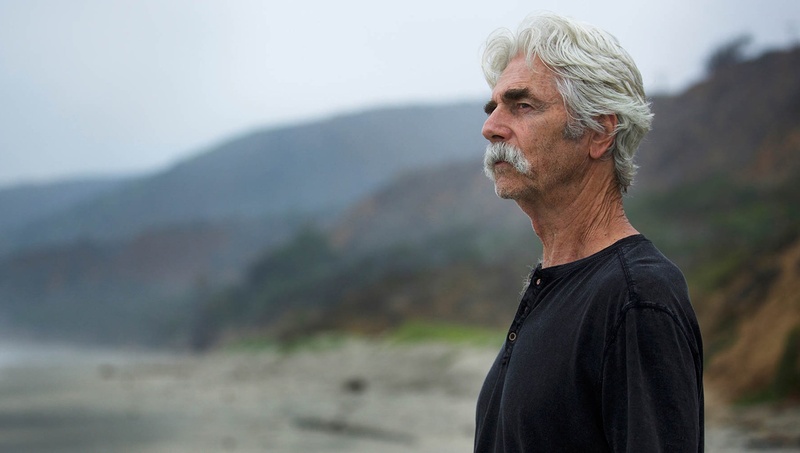 This is a role made for Sam Elliott (playing Calvin Barr, a man of few words and deep thoughts), who draws out every conversation, every scene, as long as possible to instill maximum emotional impact. Writer/director Robert D. Krzykowski has chosen to alternate back and forth between the experiences of the young Calvin, played by Aidan Turner, and older Calvin, played by Sam Elliott. The younger has been undercover in the WWII Nazi military with a special mission, to kill Hitler. The older Calvin lives in the same town, same house as the younger. But he has long been home from the war, still grieving the loss of his pre-war beloved (Caitlin FitzGerald). At first, he refuses; but this is a man who is still questioning his first “kill.” Yet, he is torn because of his position of being honorable in all things. Will he go when he is called as an old man to fight yet another fight? Or will he cling to his basic principles? The film is engaging and entertaining, and Sam Elliott is mesmerizing (with Aidan Turner expertly and convincingly playing his younger self). The plot is interesting and fanciful, yet it doesn’t quite hit that “sweet spot” where reality, fantasy, and inspiration come together. Perhaps if the script were more plausible, it could have been more engaging as a fantasy. But as it stands, its remains interesting but not one that will stay with you. Perhaps if the script were more plausible, it could have been more engaging as a fantasy.